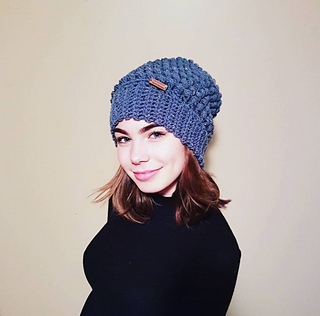 The Pebble Slouch is a highly textured, fun to make beanie. 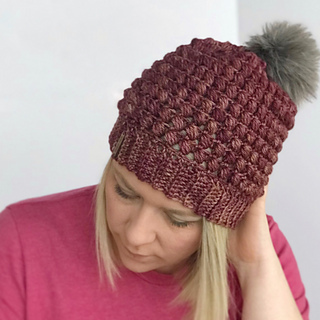 Utilizing a different way of making puff stitches, this hat works up quickly. 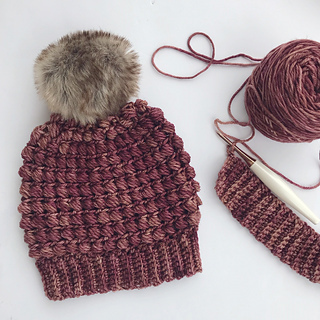 The puffs really show off the tones in hand dyed yarn, but also look gorgeous in other worsted weight yarns. 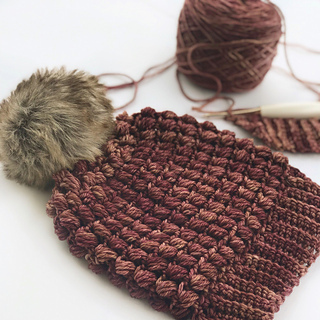 This beanie is designed to be slightly slouchy. 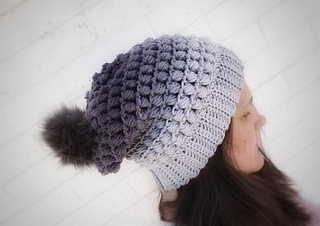 Save 15% when you purchase 3 or more patterns from my shop - no code needed!